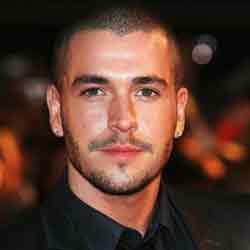 Former X Factor winner Shayne Ward has just completed a successful run in Rock of Ages at London's Shaftesbury Theatre and has now reportedly signed up for the next series of the ITV1 show Dancing on Ice which airs in January. Training sessions are already underway and a source said: "Shayne has natural rhythm and is confident he'll really get into skating. But he's most concerned about pulling off the pink sequinned spandex look."